This year, I really want to try and make a lot of my own Christmas presents. I'm sure I say that every year, and always end up leaving it too late! So, I'm starting now, with the hope I'll have a few little bits and bobs to give come Christmas time. 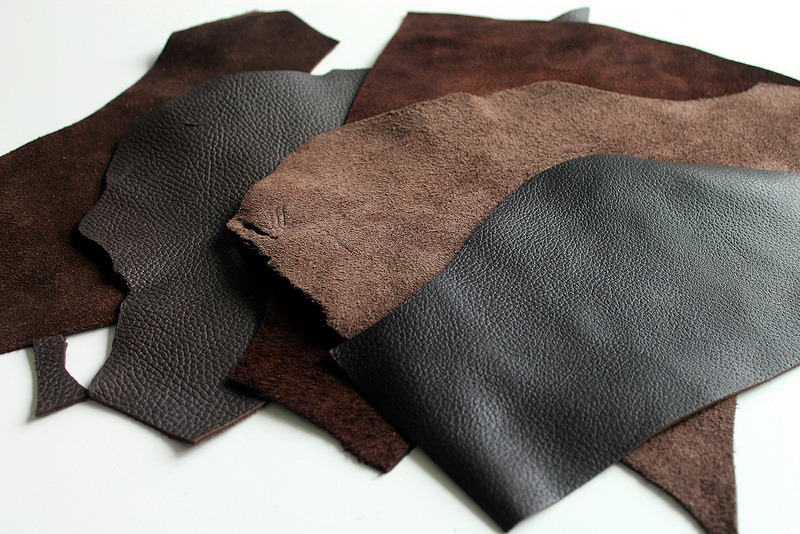 I bought a bag of leather scraps for a craft project a while ago (from ebay) and had loads left. I thought I'd try using pieces for some mini notebooks. 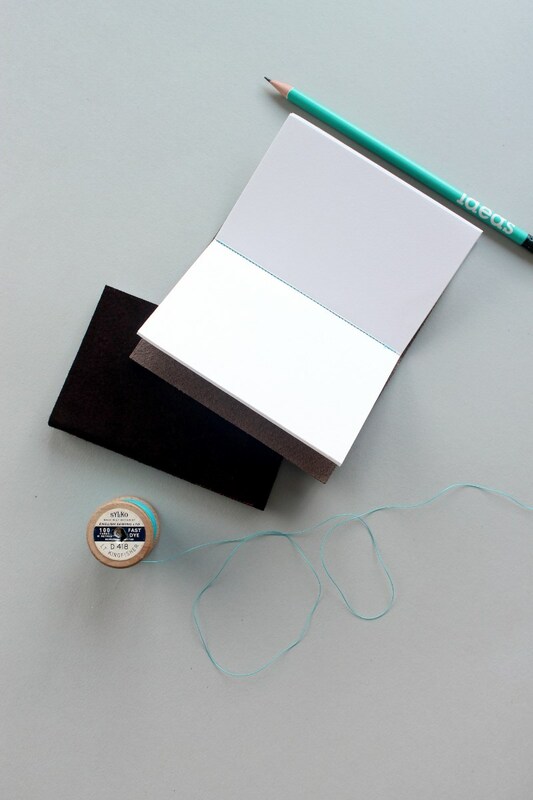 First cut a template for the size of your finished notebooks. 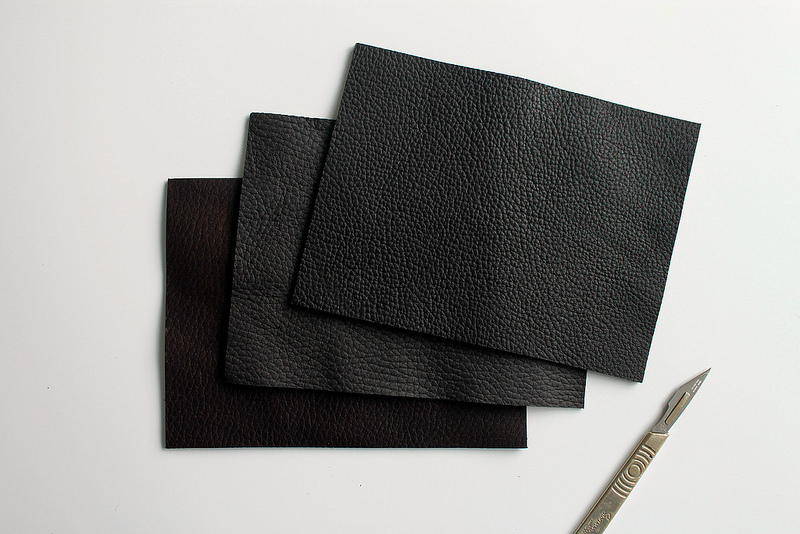 I made mine 12cm x 16cm as this was a size I was able to fit on most of my scraps of leather. Using a sharp cutting knife, carefully cut around the card template. Use the same template size to make pages for the inside of your book. I used 5 pieces of thick paper, making 10 sheets inside the notebook. I think my sewing machine might have struggled if I'd used much more than this! 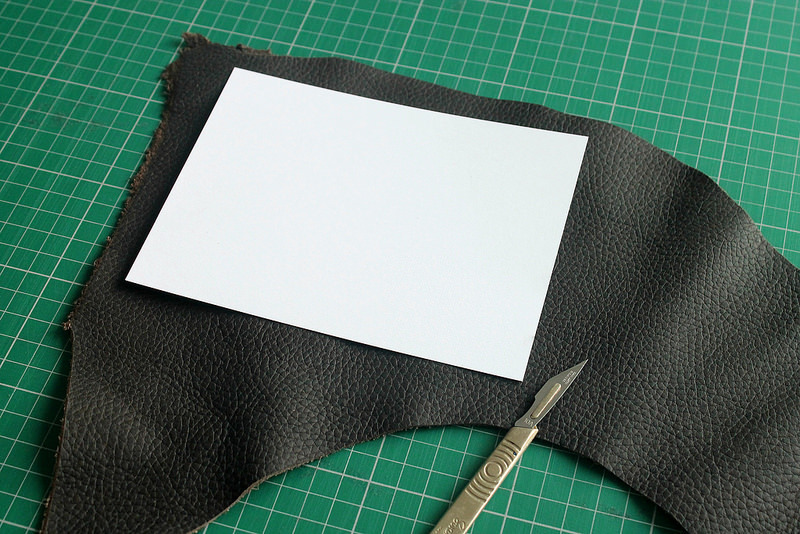 Fold each piece of paper in half and place inside the leather cover. 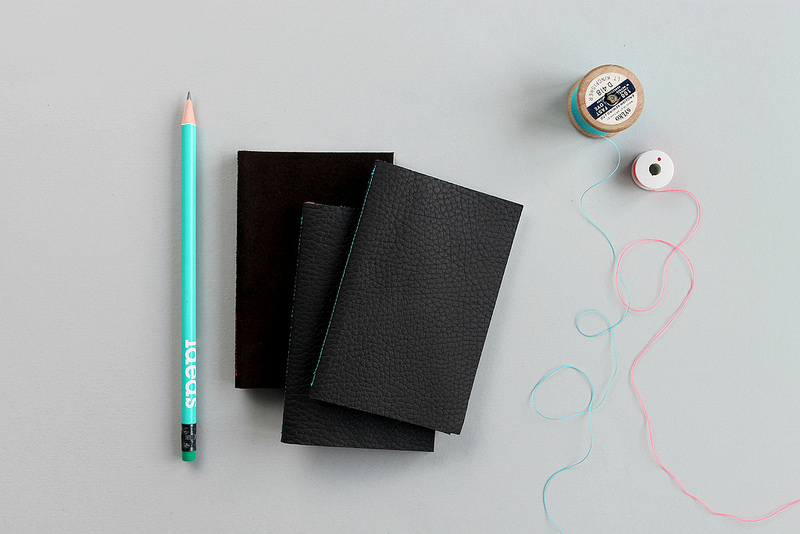 Using the fold lines as a guide, carefully sew down the centre of the notebook. You could use a matching colour cotton, or a contrasting colour, as I did with the bright turquoise and neon pink thread. 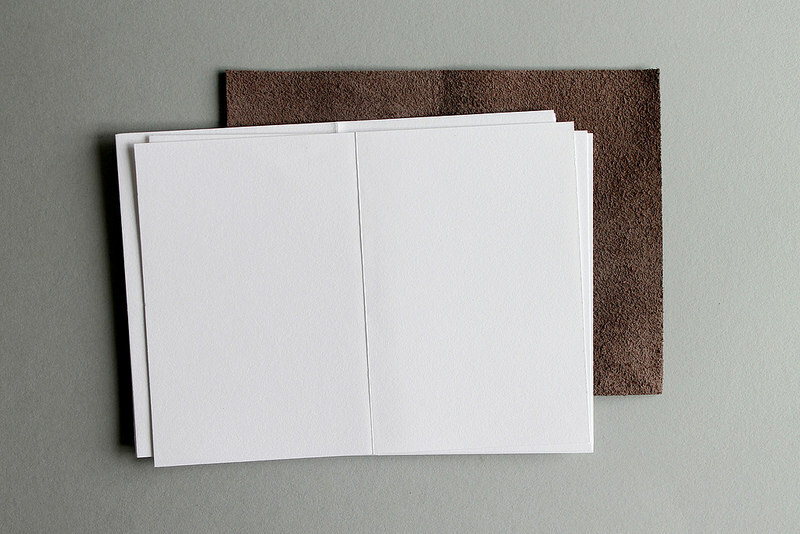 When you fold the notebook back together, you may find the paper sticks out slightly from the leather. I just trimmed along the edge of my pages using a ruler and craft knife, to make a nice flat edge. I also placed my finished notebooks under a heavy book overnight to flatten! 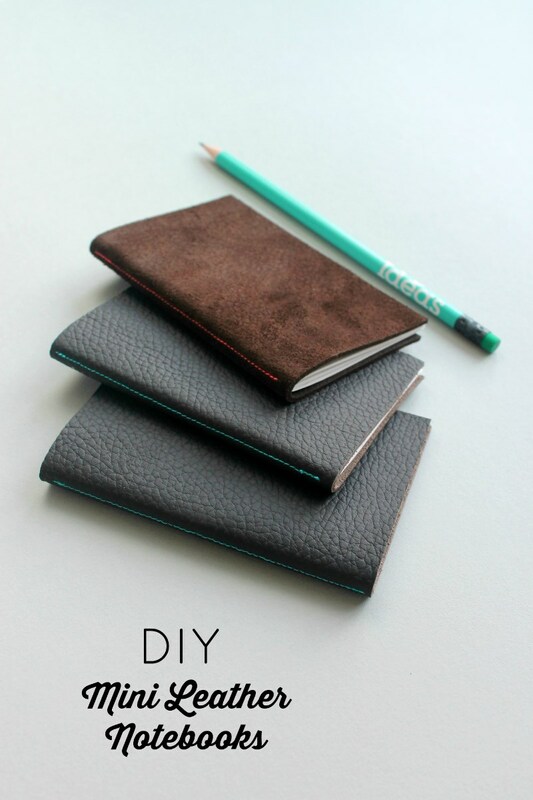 You could easily make these using some pretty card or thick paper for the covers too! 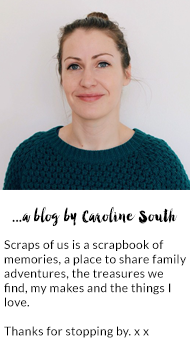 I'll be sharing a few more present ideas in the run-up to Christmas. They look great! I think I could manage these, even with my limited sewing skills... love the contrasting thread too. What a wonderful idea! I've got a leather bag that has started to crack in places, and so had been wondering how to use up the bits that are still okay. These would be great. Do you think it's possible to do the sewing without a machine, or am just going to munch up my fingers on it? 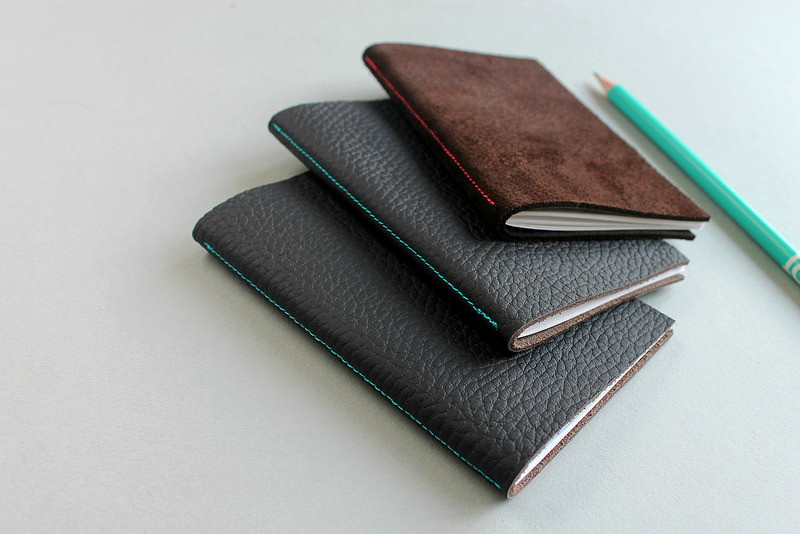 these are super nice, but i especially love the brown one!